We know that it was in 2010, when Apple launched the first iPad model in this world. Till now, this company has promoted lots of models, starting from iPad Air version to Mini. Apple has made an announcement about its launch of two new products, which have something special that may instantly attract the users. Perhaps, many of you have not planned to buy iPad because it is too much pricy. However, the most exciting news for you is that a new iPad model has been released at a lower rate. 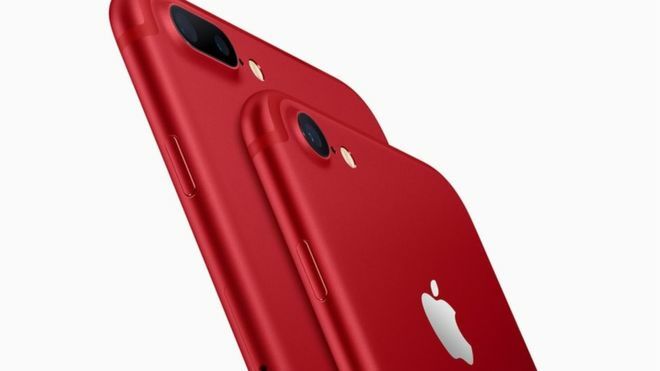 Another product, which may draw the attention of gadget lovers, is the red colored iPhone. Thus, if you have decided to purchase some exclusive products of Apple, you may choose these two latest models. Though the new iPad is cheaper in price, its size (9.7 in.) gives it a very stylish look. The present price rate for this product is $469, and you may avail it in three shades- grey, gold and silver. If you look for an alternative of iPad Air 2, then this cheaper model is the best option. However, it is almost twenty percent thicker, in compared to the previous models, though its weight is about 469g. Philip Schiller, associated with the company, has stated that lots of users will prefer this screen size- 9.7-inch. This screen is best for movies, browsing the internet, making video calls with friends and also enjoying the snaps. As all these things are available at a lower cost, the customers may be happy with the new model. So, you may replace your old iPad to have an upgrade. Whether you are using the cheaper model at the home or office, the special features, like A9 chip and Retina Display make everything convenient for you. In addition to it, you may access millions of apps, which are intended only for this model. However, you must not confuse 9.7-inch model with the Pro line version. Moreover, the storage section has also been improved in case of iPad mini as you can get 128 GB for storing data. Now, let us talk about the new RED iPhone 7 and iPhone 7 Plus. With aluminum structure and the matte red color, these models look quite superb. You may get 256GB storage space with this iPhone 7. These latest iPhones are accessible to all users in the USA and several other nations. Red products always seem to appear excellent, and there is a reason for adding such red color to the iPhones. So, many users are excited to know why Apple has marketed the new version with a different color. The company has made collaboration with the campaign- Product Red in order to prevent AIDS all over the world. However, some say that it is rather crimson rather than red. Thus, buy any of the latest products, released by Apple, and get some exceptional features with them.